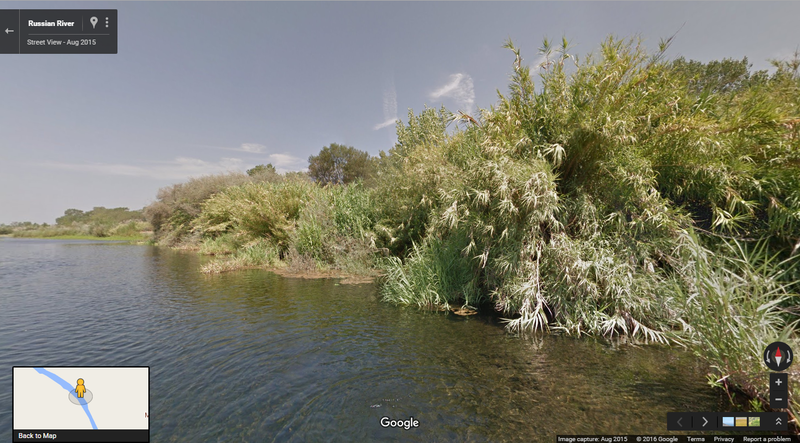 In honor of World Water Day, The Freshwater Trust and The Nature Conservancy – California partnered with Google Maps through the Trekker Loan Program to release 360-degree imagery from two California bodies of water to demonstrate the effects of the drought over the last several years. 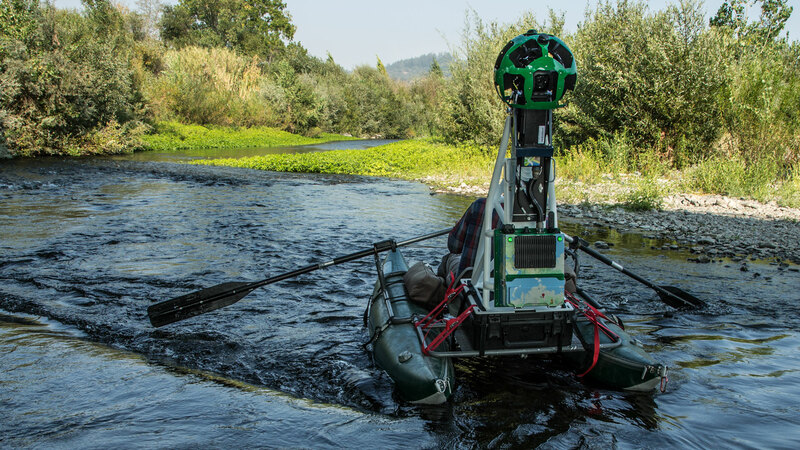 Both organizations used the Trekker, a 40-pound, 15-lens, mobile version of Google Street View. With the device strapped to an inflatable raft, The Freshwater Trust captured 67 miles of imagery of the Russian River, a waterway that recharges groundwater and provides water supply for nearby vineyards, provides habitat for endangered salmon, and supports a vibrant recreational canoe, kayak, and beach going industry. Hiking with the Trekker, The Nature Conservancy captured imagery of their Independence Lake Preserve. Independence Lake is a rare example of a healthy lake that has sustained native fish for millennia. In fact, the preserve is one of the only places in the world that supports a self-sustaining lake population of Lahontan cutthroat trout. The forest around the lake cleans the air, filters the water, stabilizes soil, and provides a home for wildlife. An estimated 5,000 people visit Independent Lake Preserve each year to enjoy fishing, hiking, kayaking, and picnicking in the crisp, clean air. 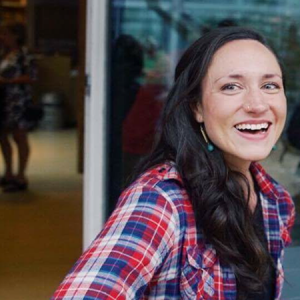 The Freshwater Trust is a freshwater conservation non-profit that has more than 30 years of experience restoring rivers in the Pacific Northwest. 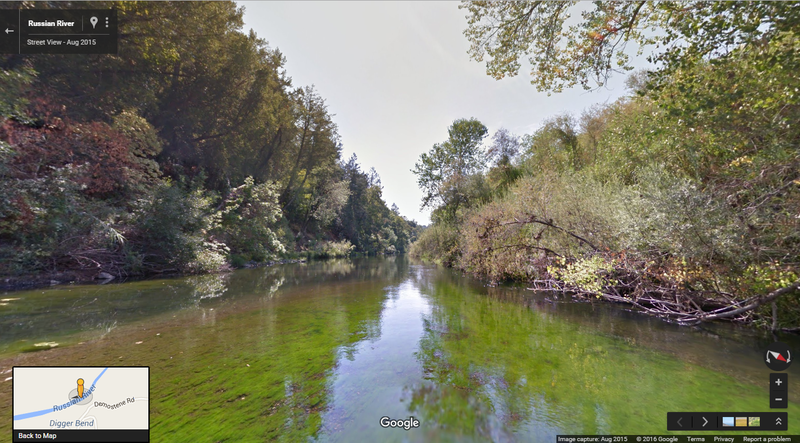 The nonprofit collected imagery of streamside vegetation and river conditions and will use it to help identify and prioritize sites for restoration opportunities along the Russian River. The majority of the streams in the basin are listed as impaired under the Clean Water Act. Low flows, high water temperatures and excess nutrients often cause algal blooms and threaten the river’s populations of threatened Chinook and steelhead and endangered coho salmon. Additionally, following large rain events, the Russian River gains significant energy, carving into the outside bends of its course and eroding them. An ode to a 1950s experiment to reduce erosion, junk cars are found on the banks and bottoms of the Russian and rivers nationwide. The nonprofit estimates that 30% of the Russian River is a significant priority for revegetation to lower the water temperatures to a more hospitable level for fish, filter nutrients and runoff, and stabilize the banks. 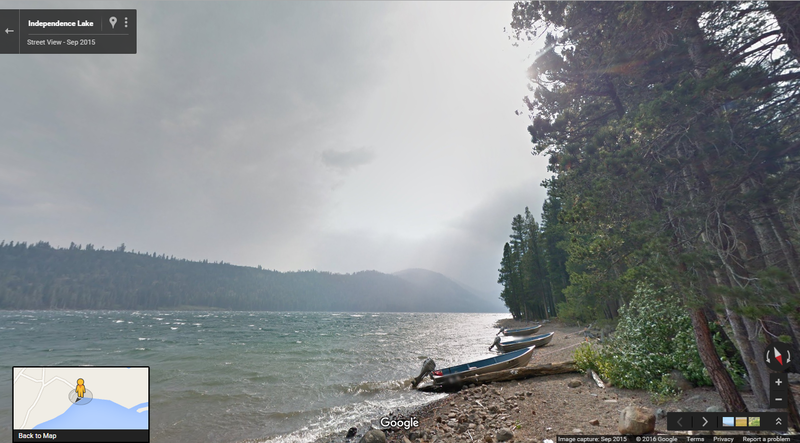 The Nature Conservancy’s Independence Lake Preserve is nestled high in California’s Sierra Nevada Mountains. Water from Independence Lake flows east out of the Sierra Nevada and eventually into the Truckee River, making the lake a vital part of the drinking water supply for two of Nevada’s largest communities, Reno and Sparks. However, wildfire, drought, and climate change put Sierra watersheds at risk. The Conservancy, which owns and manages the Preserve, collected the imagery to have some baseline images to compare how the forest is growing and re-growing over time. They can also compare different tree stands to each other, based on the different forest management treatments. 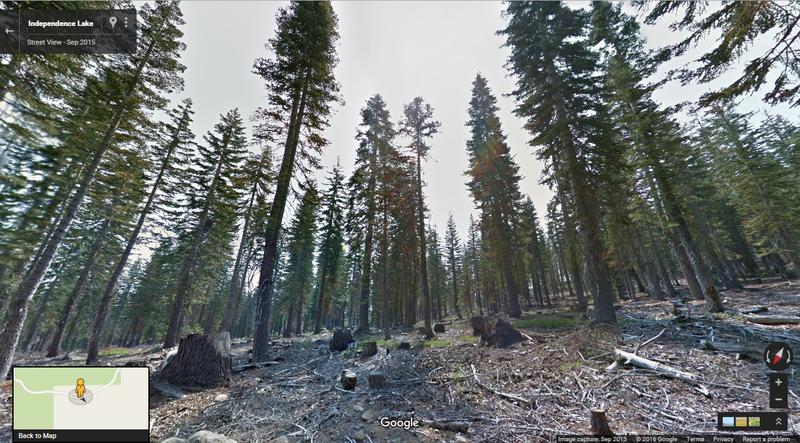 According to Google Maps, Street View Imagery is available in 75 countries around the world. Approximately 50 nonprofits have borrowed the gear to do similar expeditions.